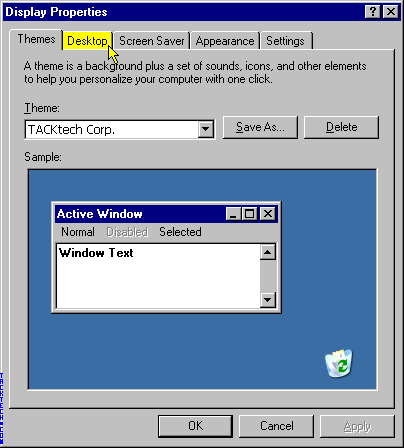 Disable Desktop Cleanup Wizard (Windows XP) - TACKtech Corp. Tired of getting the message stating "There are unused icons on your desktop". Double-click on the Display icon. Click on the Desktop tab. 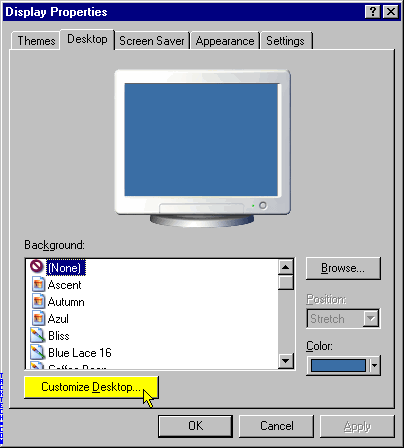 Click on the Customize Desktop... button. 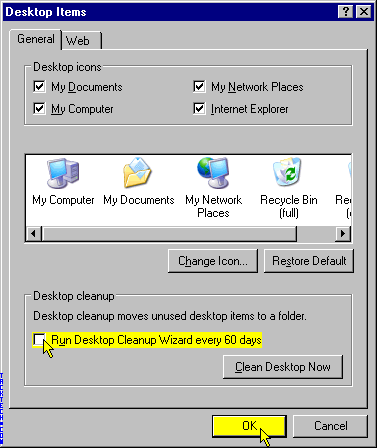 Remove the check from the Run Desktop Cleanup Wizard every 60 days checkbox.